For over 25 years FCA Packaging has been designing, testing, and manufacturing custom products for the shipping or storage of all types of industrial products. We also provide highly customized, heavy-duty industrial packaging products and services to leading OEMs across a variety of industries. Every year we design, test, prototype, and validate custom packaging that protects billions of dollars’ worth of cu stomer products of all sizes and weights. 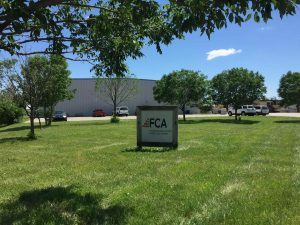 FCA Packaging has strategic locations throughout the United States to better serve our customers. This includes our manufacturing plant in Lafayette, Indiana. Here our custom packaging and storage products are built from wood and steel as well as corrugated and hybrid products. We serve many industries, including Construction, Aerospace and Defense, Mining, Agriculture, Energy, Medical, and Electrical Equipment, among others. We work with some of the biggest names in these industries to protect their product during storage or shipping. 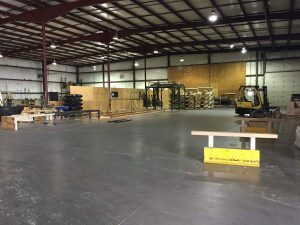 Custom built pallets, skids, and crates of any size or dimension. Collapsible packaging that is easy to assemble. If the products you manufacture are the lifeblood of your company, then you need to ensure that when they are shipped or stored, they are always protected. Our team of engineers will custom design everything to meet the specific size and weight requirements of your product, as well as its unique dimensions. No product is too small or big for us to handle. We can provide custom built packaging to protect agricultural equipment being shipped across the country, or the world – by truck, sea, rail or air. Our skills are uniquely tailored to OEMs that have very specific needs and require highly-customized packaging requirements such as protecting heavy, fragile, or otherwise hard-to-handle materials and equipment. We know these businesses may require fast lead times or might need only a limited production run. Not only do we help them achieve their goals, but we do so in an economical manner. Our products help reduce production costs, as well as freight costs and storage costs. With our packaging services, we can even work on site if necessary to ensure faster production time and help lower your overall costs. With our Lafayette plant, we serve businesses throughout Indiana, including Gary and Indianapolis, as well as companies in Illinois and Ohio. If you’re located in the Lafayette area and have an item that can’t be moved because of its size or because it is too fragile, we can come on site to do the work. FCA Packaging’s model of manufacturing in close proximity to our customers’ facilities allows us to deliver Just-in-Time (JIT) Manufacturing. We can often deliver orders within 24 hours and often in less than 4 hours if necessary. In some cases, we can set up on site. Contact FCA Packaging to learn how we can assist you in your shipping or storage needs or to provide custom packaging for your products.